If you answered, “yes,” you're not alone. 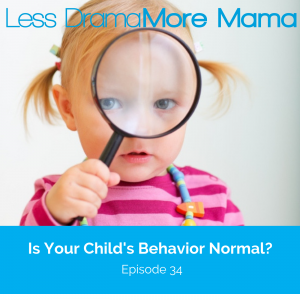 Parents feel agitated, worried, or confused by their kids' behavior all the time. But with a better understanding of the stages of child development, you can feel calmer and more confident about what's considered “normal” and what's cause for concern. Join me for today's podcast episode, where I talk about child development and how you can support your child (and yourself) during each stage. Why having a basic understanding of child development can be useful to you and your child. An overview of tasks related to each stage from toddlers to teens, and strategies for effectively parenting through them. How to use information about the different stages to inform your thinking as a parent. Why I actually want my kids to make certain mistakes now. The secret to reducing power struggles.